The simplest way to purchase my photography would be to visit my online store. 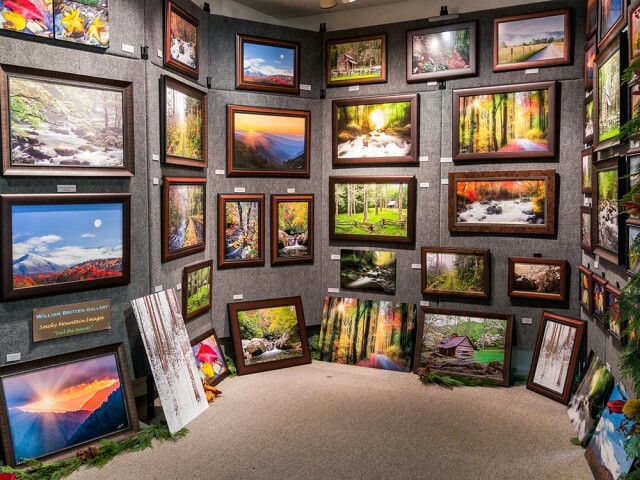 You may have seen my photography in the Gatlinburg Gallery or at an art fair. Or perhaps you have just discovered this website from an online search. In any case there are several ways to view the available photographs. One way is to browse the Featured Photos pages. These are my most popular Smoky Mountains images, along with a description of how, when, and where they were created. I also have an online store at the Etsy craft site. This link will take you to my online gallery that includes my most popular photos, framed and unframed, as well as custom metal prints, canvas wraps, notecards, and a growing gallery of digital downloads. Finally, any picture that you see on this website is available as a matted print or framed and ready for hanging on the wall. When you find a picture you like, just make a note of the name, and proceed to step 2. 2. What sizes are available and what is the cost? 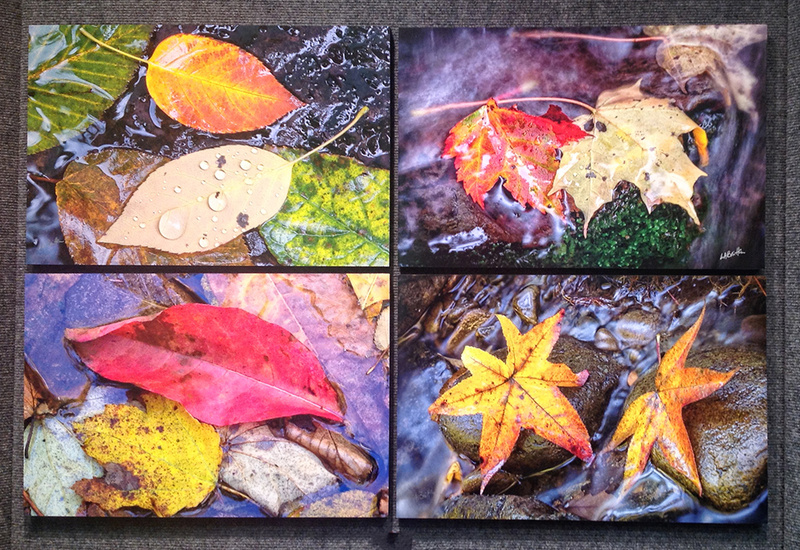 Metal prints display my photographs in a frameless modern style, with astoundingly rich color. Aluminum sheets are covered with a special coating, which allows dyes to be infused directly into the surface, creating a beautiful depth and vibrance. 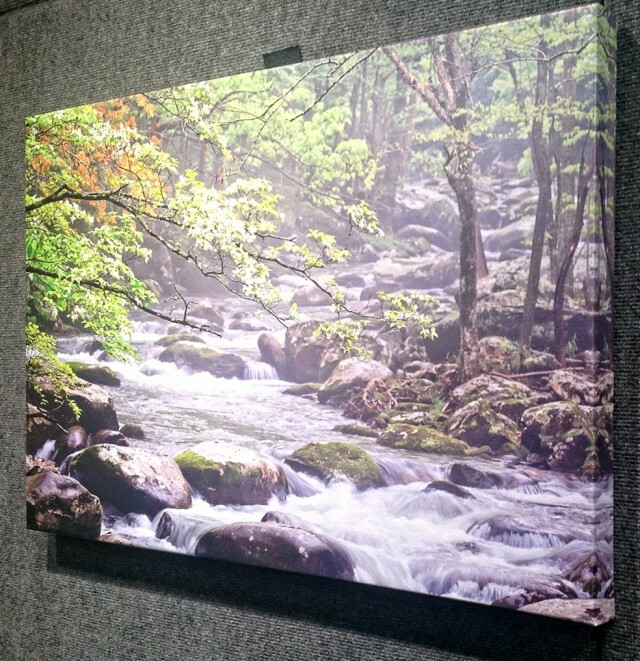 Canvas wraps display my photographs in a classic style, with a look similar to a painting. The picture is wrapped around the edge, creating a box that floats on your wall without a frame. Finally, a note about the framed pieces: Each framed photograph is created in a way that is unique among photographers. Each image is given a treatment to enhance and protect the surface of the photo. 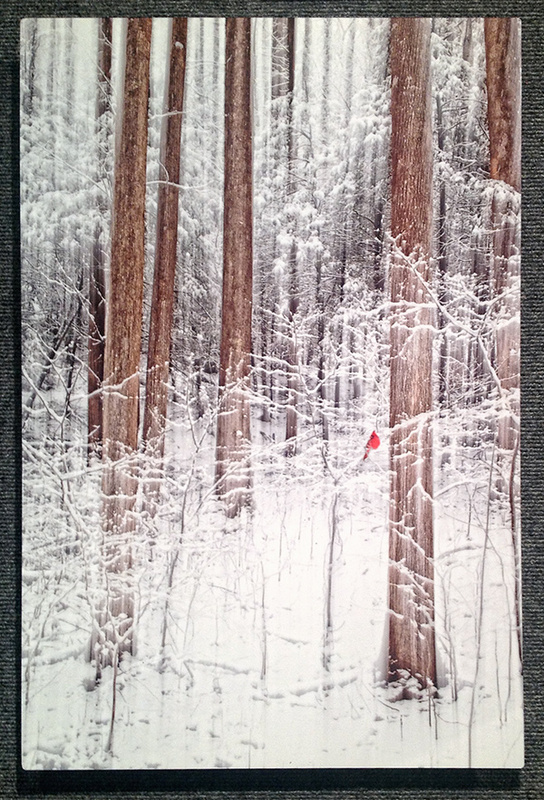 Then the photograph is mounted on a board and framed without glass, much like a painting. The result is a stunning sense of being right there in the scene, or looking out a window with a fabulous view. The comments that I most often receive are that the images seem to glow from within, or that the photos have an almost 3-D appearance. 3. Contact me to place your order.